Looking for a fun summer treat to cool you off? Fantastic Fanta Freeze is a great way to do it! This mix of Sprite and Fanta creates a wonderfully sweet, smooth, and fruity dish that’s perfect for staving off the summer heat in Rock Hill. Fantastic Fanta Freeze Is Fruity Fun! Since Fanta comes in so many different fruity flavors, your ice cream can too! And if you want to experiment, you can mix different flavors of Fanta together to make a truly unique frozen concoction. Mix several flavors for a fruit punch effect. This treat works particularly well as a dessert for birthdays, pool parties, or just when you want to cool off. It has the bright, crisp taste of Fanta but with the cool, creamy texture of ice cream. 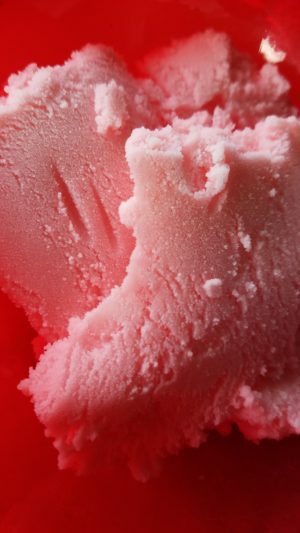 If one of your friends has an ice cream maker too, you could swirl the flavors to make it a different flavor with each bite. If you are the only one with an ice cream maker but still want multicolored ice cream, don’t worry! Just make several different batches of ice cream and serve them together. Fantastic Fanta Freeze is just the thing to enjoy in the hot summer sun, no matter where you serve it or what flavor it is. So make the rest of summer full of Fantastic Fanta Freeze fun! Assemble your ice cream maker according to manufacturer instructions. Usually, the mixing canister will rest in a larger bucket surrounded by super-chilled ice. A generally reliable method is to layer ice and rock salt. Place about 2 inches of ice around the inner canister, then sprinkle ½ cup of rock salt evenly over the ice. Repeat the layers until the ice is close to the top, but not over the edge of the canister. Be sure that your Sprite, Fanta, and condensed milk are well chilled. Starting with cold liquids will speed up the freezing process, getting the Fantastic Fanta Freeze even faster! Pour all the chilled liquids into the ice cream canister. Follow the directions for your ice cream maker. The mixture will usually churn for 30-40 minutes. Scoop the finished Fantastic Fanta Freeze into bowls and stand back to see their faces light up!